The B.V. was founded in 1960 by Mr. VANDERGRIFF Joseph and in 1985 with the sons GIANPIERO and MANUELA formed the G.M. SNC, a company managed at the household level. 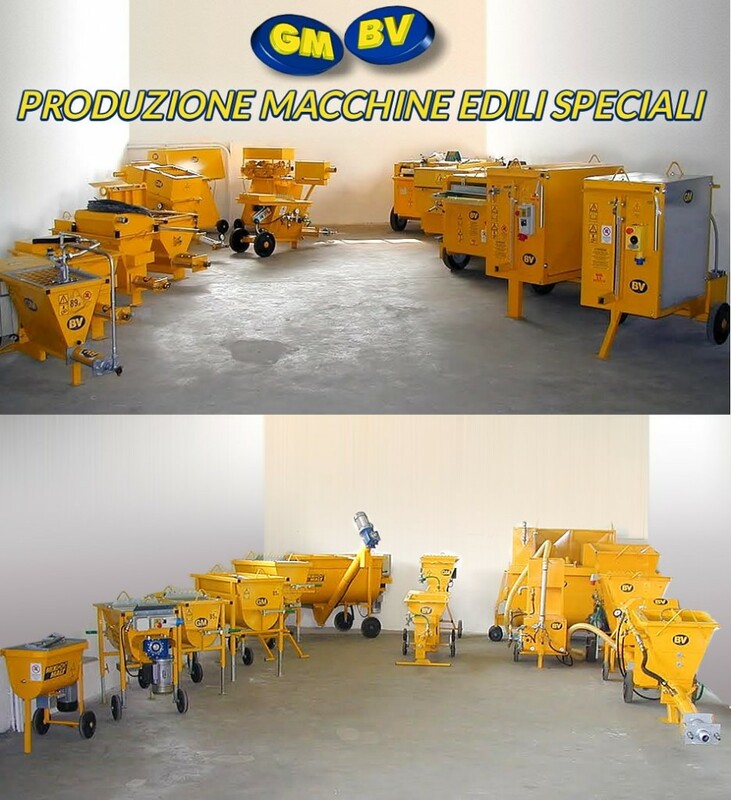 Pioneers in building cleaning machines and mixers and pumps we studied, designed and patented machinery for preparation and distribution of materials with zero impact to the environment, developing a particular ecological awareness in respect of the person. Always attentive to the different needs of our customers in the field of construction, we specialize in building construction machine models simpliﬁed, sturdy, durable and versatile. Our motto has always been "build well to work well". Our greatest satisfaction lies in the realization of good machinery to perform best for ﬁnal functions.